In 2013, the National Vaccine Information Center (NVIC) enters our fourth decade of preventing vaccine injuries and deaths through public education and defending the legal right to make voluntary vaccination decisions in America. Each year during the past 30, NVIC has become more successful in achieving our mission. With that success has come more fierce opposition by politically powerful medical trade associations and special interest groups allied with drug companies doing everything they can to censor truthful vaccine information and strip vaccine informed consent protections from public health laws. At a recent federal advisory committee meeting, we learned that public opinion surveys reveal that NVIC ranks as one of the most trusted sources of vaccine information among Americans, who choose to vaccinate, and also among those, who do not. This means that our small charity and the well-referenced information on our website at NVIC.org is helping to inform the health decisions made by millions of Americans. This is a huge accomplishment and it would not have been possible without 30 years of loyal support by tens of thousands of parents, grandparents, doctors, nurses and students coming from every single state and every walk of life, who offer donations to NVIC every year. A lot of people still don’t realize that Congress and the U.S. Supreme Court have completely shielded drug companies and doctors in America from product liability and malpractice lawsuits when vaccines injure or kill someone. But pharmaceutical corporations and medical trade groups are not satisfied with total liability protection and no accountability. They also want the power to legally force 310 million Americans to buy and use every single vaccine that Big Pharma produces and public health doctors endorse - no exceptions. NVIC and our uncompromising defense of informed consent to medical risk taking, including vaccine risk taking, has stood in their way for 30 years. And that is one reason why we are witnessing vicious assaults on NVIC and courageous Americans in every state, who are trying to protect their right to know and freedom to choose how they and their children will stay well. At this time last year, NVIC was the subject of a smear campaign led by American Academy of Pediatrics officials, who put pressure on Delta Airlines in a failed attempt to remove an NVIC-sponsored flu prevention video from inflight health programming. A month later, another online disinformation campaign about NVIC was launched by forced vaccination proponents to get a 15-second NVIC-sponsored digital ad taken down from Times Square. It failed and our vaccine risk awareness message was broadcast throughout the holiday season and on New Year’s Eve. And this year, drug company and medical trade association lobbyists tried to persuade legislators in Vermont and California to remove philosophical and personal belief exemptionsto vaccination from public health laws. But we fought back in both states, using our free online NVIC Advocacy Portal to empower citizens to quickly organize and electronically stay connected to their legislators and up-to-date on breaking news. Next year, NVIC will face more censorship and well-orchestrated, well-funded assaults on vaccine exemptions in multiple states. Our parental, civil and human rights in America are in grave jeopardy. All you have to do is read the heartbreaking descriptions posted on the Cry forVaccine Freedom Wall at NVIC.org to understand how bad it is. No Vaccinations? No Prescription Medications. No Vaccinations? No Medicare Benefits. This Mom knows first-hand that vaccine risks are greater for some than others and that, at our peril, do we give up our freedom to make personalized vaccine decisions for ourselves and our children. There is no time to waste. Now, more than ever, NVIC needs the financial resources to educate more Americans about vaccination and health and help citizens protect vaccine exemptions in the states. During this season of thanksgiving and remembrance, please visit NVIC.org and offer a donation – big or small - to help NVIC continue to defend parental, civil and human rights in America. What you choose to do today WILL determine what happens to you, your children, your grandchildren and everyone you love tomorrow. Thank you in advance for whatever gift you can give and best wishes from NVIC for a happy and blessed holiday season. NVIC.org. About National Vaccine Information Center. BusinessWire. NVIC Press Release: NVIC Cites “Betrayal” of Consumers by U.S. Supreme Court Giving Total Liability Shield to Big Pharma. Feb. 23, 2011. Fisher BL. Doctors Denying Vaccine Risks: An American Tragedy. Apr. 12, 2011. BusinessWire. NVIC Calls Out AAP for Using Public Intimidation to Censor NVIC Flu Prevention Video Offered to Delta Travelers. Nov. 15, 2011. You Tube. NVIC Flu Prevention Video. NVIC Vaccine E-News. NVIC Educates One Million Plus in Times Square on New Year’s Eve. Dec. 26, 2011. Fisher BL. Philosophical Exemption to Vaccination Saved in Vermont. May 14, 2012.
Business Wire. NVIC Says Governor Brown Fails to Veto Vaccine Bill But Affirms Personal and Religious Exemptions. Oct. 1, 2012. NVIC.org. Cry for Vaccine Freedom Wall. It's that time of the year again when drug companies, doctors, government officials and media conduct a national advertising campaign to sell flu shots to every American.1, 2, 3 You can't pass by a pharmacy,4enter a supermarket,5 shop in a "big box" store6 or catch a plane7 without seeing the "flu shots for sale" signs trolling for customers. The pharmaceutical industry is cutting out the M.D. middleman and going straight for the gold in places where we shop for toothpaste, clothes and food.8 Even on the evening news, flu shot commercials are becoming as frequent as political campaign ads. No Flu Shot? No Job or Daycare! The selling of influenza vaccine has a lot to do with selling big morbidity and mortality numbers. So how bad were those numbers in the late 20th century to justify government taking a "no exceptions" cradle to the grave approach to flu shots for every American in the 21st century? Let's take a quick look at the hype versus the evidence. But just how bad is seasonal influenza today? Is It 200,000 Influenza Hospitalizations or 37,000? Here is what I found: Since 1940, the highest number of influenza deaths recorded in a single year was 21,047 deaths in 1941. In fact, the mortality rate from influenza was NOT rising in the late 20th century – as the CDC employees have alleged – it was dropping. In 2000, CDC policymakers voted to expand flu shot recommendations to all healthy Americans over age 50.35 Out of a population of 300 million, there were 1,765 recorded influenza deaths that year. In 2002, CDC voted to add all healthy babies from six to 23 months.36 There were 727 recorded influenza deaths that year. In 2006, CDC voted to recommend flu shots for all healthy children up to five years old as well as all healthy pregnant women in any trimester.37 There were 849 recorded influenza deaths that year. In 2007, CDC voted to add all healthy children up to eight years old.38 There were 411 recorded influenza deaths that year. In 2008, CDC voted to recommend annual flu shots for all healthy children up to age 18 years.39There were 1,722 recorded influenza deaths that year. They got away with it because the CDC does not require states to "report individual seasonal flu cases or deaths of people older than 18 years of age. "42 That's right – the CDC is not actually asking for the information they need to accurately assess influenza morbidity and mortality in the U.S. It would be funny if people weren't actually losing their jobs or being denied daycare or becoming paralyzed43, 44 by this "no exceptions" flu shot policy. Today, the global market for seasonal influenza vaccine is $3.6 billion and forecasters have recently reported that the U.S. is the single biggest and most profitable market in the world.45 They say the huge U.S. market is "driven by price increases" and high vaccine coverage rates generated by the 2009 influenza pandemic and the government's "universal" flu shot recommendation in 2010. They add that "campaigning by U.S. authorities" will continue to drive up flu shot sales. Meanwhile, doctors at the CDC now quietly admit on their website that the "CDC does not know exactly how many people die from seasonal flu each year. "46 Having gotten that cradle to the grave flu shot recommendation firmly in place, they are backing away from the 36,000 influenza death figure. CDC now says that "only 8.5 percent of all pneumonia and influenza deaths and only 2.1 percent of all respiratory and circulatory deaths" are influenza related. You can almost hear those liability free drug companies and doctors laughing all the way to the bank. Dr. Halsey, who I debated publicly in 1997 about informed consent to vaccination,  told the AP reporter that “parents who choose private schools are likely to be more skeptical of state requirements and recommendations.” With that grossly inaccurate generalization, Dr. Halsey attempted to politically stereotype parents filing vaccine exemptions in order to explain why children attending private schools that respect parental rights and health care choices -,like Waldorf schools - have vaccine exemptions. In fact, for the first 40 years that pertussis vaccine was given to children in the DPT shot, pediatricians were told: “Do not give more pertussis vaccine to children, who develop seizures within 72 hours of a DPT vaccination.” Convulsions were an absolute contraindication to more DPT shots, especially if they occurred without a fever. But that changed after Congress passed a 1986 law shielding doctors and vaccine manufacturers from vaccine injury lawsuits. Once pediatricians were protected from lawsuits, public health officials and medical trade associations, like the American Academy of Pediatrics, said serious vaccine reactions - like seizures (1 child in 14,000), high pitched screaming and collapse/shock (hypotonic hyporesponsive episodes) - weren’t all that important. “After receiving her first vaccines, including DPT, my daughter began to have violent seizures, which continued but lessened over the next year. On many occasions, pediatricians have attempted to bully me into allowing more vaccinations for her. Telling them about her seizures, I refuse and tell each of them “unless you will personally guarantee, in writing, that there will be no adverse reactions so I can sue you if there are, then I won’t do it.” Not a single doctor has taken me up on my offer,” she said. “My daughter is now diagnosed with autism. After we moved, we had to get another doctor and, after a year when I wouldn’t change my mind about more vaccines, he told me he wouldn’t be our doctor anymore. I went to another doctor, who wouldn’t even take us into his practice. We finally found someone who understands. She is an awesome pediatrician! So something good came of it in the end,”she said. Please don’t be afraid to stand up for your human right to protect your child from harm. Especially if your child has already experienced a vaccine reaction, search until you find a compassionate pediatrician or family practice doctor, who will work with you to make the best health care decisions for your child. CDC. Smallpox Vaccinations and Adverse Reactions: Guidance for Clinicians.Postvaccinal Central Nervous System Disease. MMWR Feb. 21, 2003; 52(RR04): 1-28.
. Hemachudha T. Griffin DE et al. Myelin basic protein as an encephalitogen in encephalomyelitis and polyneuritis following rabies vaccination. N Engl J Med 1987; 316(7): 369-374. Miller DL, Ross EM et al.Pertussis Immunization and Serious Acute Neurological Illness in Children. BMJ 1981; 282: 1595-1599. Vaccine Safety Committee, Institute of Medicine. Adverse Events Association with Childhood Vaccines: Evidence Bearing on Causality. Neurologic Disorders. Washington, D.C. The National Academies Press 1994. Institute of Medicine. DPT Vaccine and Chronic Nervous System Dysfunction: A New Analysis. Washington, D.C.The National Academies Press 1994. Tunkel AR, Glaser CA et al. The Management of Encephalitis: Clinical Practice Guidelines by the Infectious Diseases Society of America. Clin Infect Dis 2008; 47(3): 303-327. Vezzani A. Inflammation and Epilepsy. Epilepsy Curr 2005; 5(1): 1-6. National Institute of Neurological Disorders and Stroke. Curing Epilepsy: The Promise of Research. National Institutes of Health Dec. 21, 2011. Berg JM. Neurological Complications of Pertussis Immunization. BMJ 1958; 2:24-27. Kulenkampff M, Schwartzman JS, Wilson J. Neurological complications of Pertussis Vaccination. Arch Dis Child1974; 46-49. CDC. Recommendations of the Immunization Practices Advisory Committee (ACIP) Diptheria,Tetanus and Pertussis: Guidelines for Vaccine Prophylaxis and Other Protective Measures. Precautions and Contraindications. MMWRJuly 12, 1985; 34(27): 405-414; 419-426. Stetler HC, Orenstein WA. History of Convulsions and Use of Pertussis Vaccine. J Pediatr 1985; 107(2): 175-179. 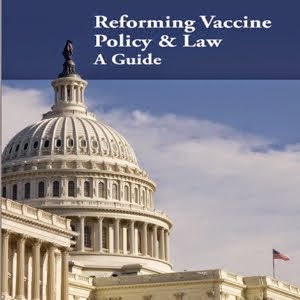 Evans G. National Childhood Vaccine Injury Act: Revision of the Vaccine Injury Table.Pediatrics 1995; 98(6): 1179-1181. Zimmerman B, Gold R, Lavi S. Adverse effects of immunization: Is prevention possible? Postgrad Med 1987 82(5): 225-229; 232. 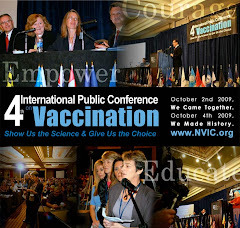 National Vaccine Program Office, U.S. Dept. of Health & Human Services. Safety: Potential Side Effects (DTaP).Vaccines.gov. Aug. 20, 2012. CDC. Diphtheria, Tetanus, and Pertussis: Recommendations for Vaccine Use and Other Preventive Measures Recommendations of the Immunization Practices Advisory Committee (ACIP). Precautions (Warnings). MMWR Aug. 8, 1991; 40(RR10): 1-28. CDC. Conditions Commonly Misperceived as Contraindications to Vaccination. July 17, 2012. CDC. Chart of Contraindications and Precautions to Commonly Used Vaccines. July 17, 2012. Stratton K, Ford A, Rusch E, Clayton EW, editors. Adverse Effects of Vaccines: Evidence and Causality. (Evaluating Biological Mechanisms of Adverse Events: Increased Susceptibility). Institute of Medicine Committee to Review Adverse Effects of Vaccines. Washington, D.C.: National Academies Press 2011. Fisher BL. The Need for a Study Comparing Health Outcomes of Vaccinated and Unvaccinated Children. Institute of Medicine Committee on the Assessment of Studies of Health Outcomes Related to the Recommended Childhood Vaccination Schedule. Feb. 9, 2012 Meeting.